John Deere 35G engine, residential friendly. 10 foot digging depth with a 17 foot digging reach. Thumb attachment is perfect for picking up and placement of boulders. 18" digging bucket or 30" cleanout bucket are available. Width is 5'9" Height is 8'2"
Delivery is available, but not included in rental rate. 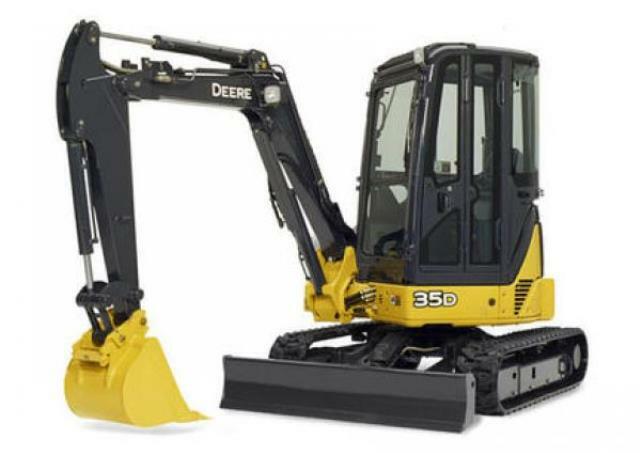 * Please call us for any questions on our 8500 lb mini excavator/ cab thumb rentals in Calgary, Alberta.